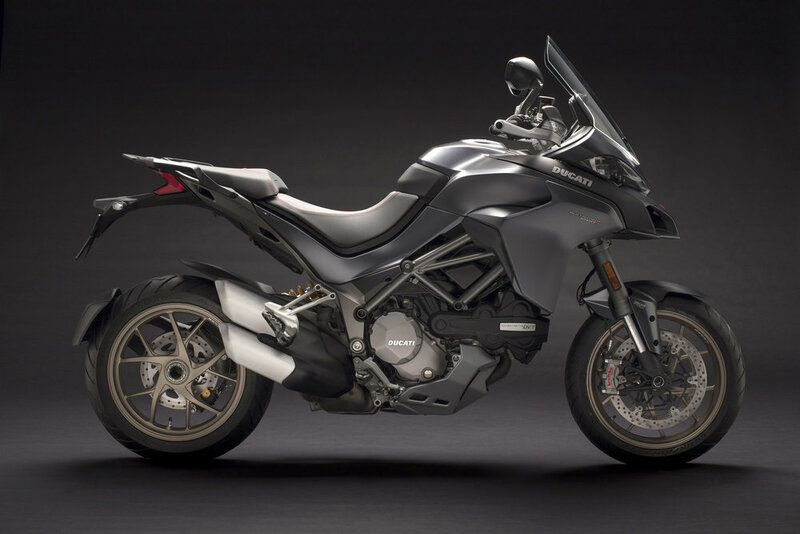 Ducati has released details of their 2018 Multistrada line-up at the 2018 EICMA show with a larger displacement 1262 cc Ducati Testastretta DVT powerplant for all four models. The Pikes Peak version - which draws its inspiration from the legendary American hill climb race - really brings out the sports character of the Multistrada 1260. The Pikes Peak International Hill Climb, also known as the "The Race to the Clouds", is held in an area of the Rocky Mountains some 16 km west of Colorado Springs. A distance of 20 kilometres separates the starting line, at an altitude of 2,862 metres, from the finishing line at 4,300 m. It's an incredibly tough competition: Ducati has already won it three times. In addition to the silencer and nose fairing, fitted as standard, a carbon fibre Ducati Performance silencer by Termignoni (EU type-approved) and a low racing-type carbon fibre screen are also available for the Pikes Peak version. 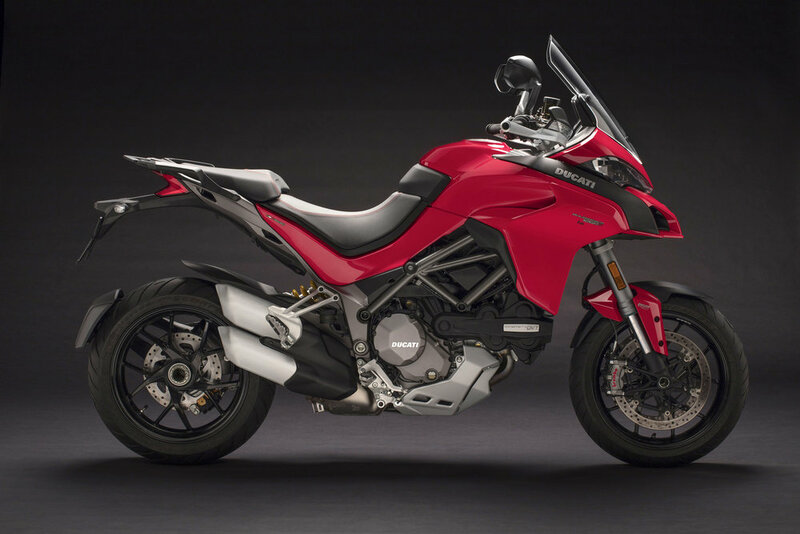 Further carbon fibre components include the front mudguard, hands free cover and front side panels, while the red-stitched seat has been specially designed to bring out this Multistrada's racing spirit. A new feature of the new Ducati Link App is the ability to set several motorcycle parameters, such as the different Riding Modes, directly from the rider’s smartphone. Also included is an "Alert and Info Service" that reminds users of maintenance intervals or alerts them to any abnormal operation, providing information and the ability to contact Dealer directly.